Looking for help with PPC in Boston? Let JSA Interactive be your guide! 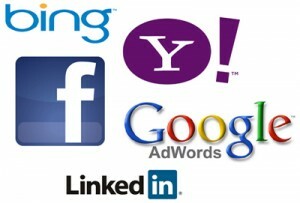 Pay Per Click (PPC) is a great way to get the word out about your company on the Internet. Unlike more traditional methods of advertising like radio or newspaper ads, PPC offers businesses the chance to advertise their products and services only to users that are already at least moderately interested, saving you time, money, and expense by allowing you to focus on selling to your target audience alone. If you’re looking for help with PPC in Boston for your company, give us a call today! JSA Interactive offers PPC Boston services for local businesses of all types and sizes. Whether you want to run ads on Google AdWords, Microsoft AdCenter (Bing), Facebook, or LinkedIn, we’ll help you create a PPC marketing campaign that will bring in the high quality, targeted traffic your business needs, from the ad copy itself to narrowing down the right demographic. To get started with PPC Boston services from JSA Interactive, simply request a quote, tell us what you need, and a JSA Interactive representative will be in touch soon to discuss your options and how we can help. And for more information on what we’ve done for our clients so you can get an even better idea of what we can do for you, we invite you to please check out one (or all!) of our free case studies, available for download instantly.